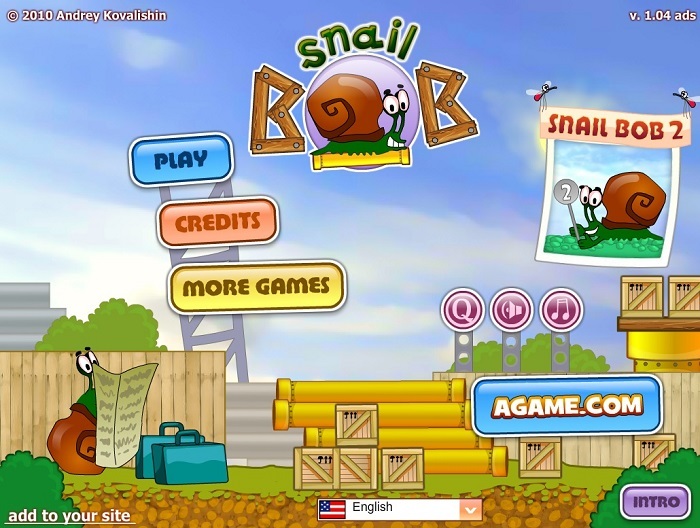 Snail Bob is a fun, interactive flash game where the player is tasked with helping the poor, homeless snail find his way back home. The story begins while Snail Bob is enjoying the morning sun, when suddenly he’s evicted from his home in the most ruthless manner – literally tossed aside like yesterday’s trash. 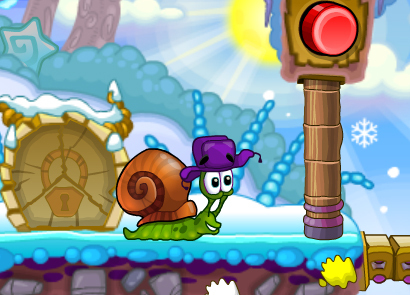 Can you help Snail Bob find his way back to his beautiful, comfortable home? Try it now! 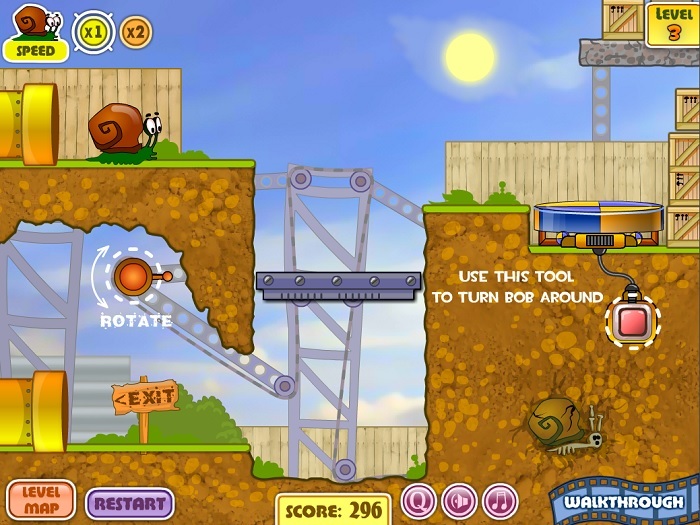 The user controls are quite simple in this game, but the game itself requires you to be able to think quickly and make decisions correctly in order to complete each level. 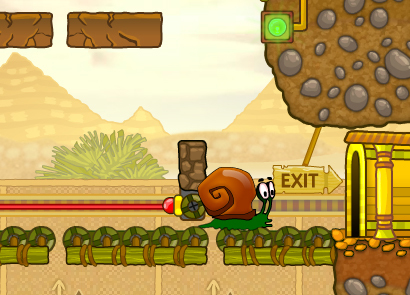 For the most part, users only need to be able to use their mouse in order to click on levers and buttons through the game – as well as click on Snail Bob himself to stop him in his tracks. Although, some users may enjoy using the numbers one and two keys on their keyboard in order to activate the speed boosters, this is not a requirement as players are also able to click on a designated button at the top, left hand side of the screen to achieve the same results. 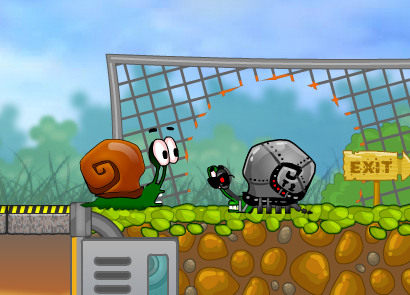 Players begin the game playing as Snail Bob, hopelessly searching for his way back home. He has to cover a lot of terrain in order to find his way back to his hometown, since the nasty landlord literally threw him three towns away! 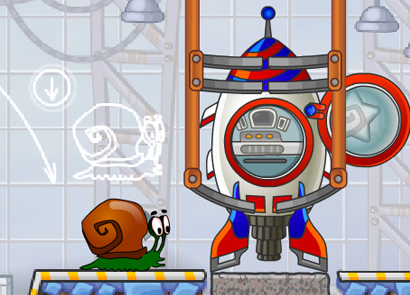 To complete each level, players must accurately know when to press various buttons, hit different switches, and activate different sliders and speed boosters. 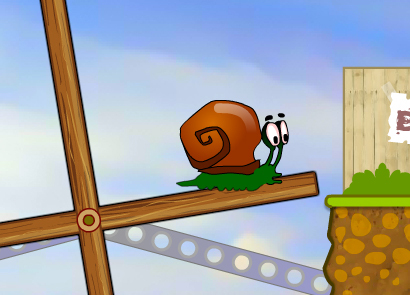 In addition, learning how to stop and start Snail Bob’s movements will become increasingly helpful in the mid to higher levels. 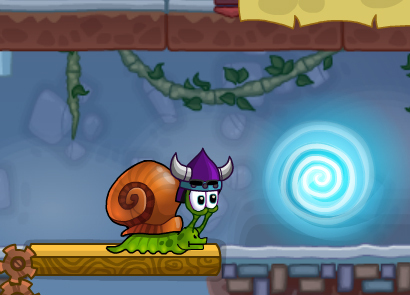 Stopping Snail Bob causes him to curl up into his shell as if there is danger approaching. 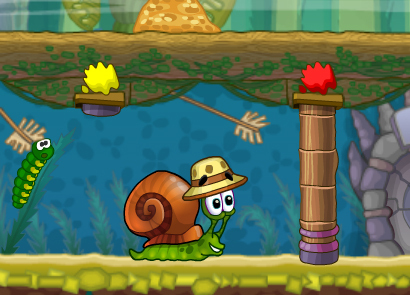 While his shell won’t save him from the dripping lava in level 11, it will cause him to stop dead in his tracks to allow you ample time to think each level through to completion, before putting him in harm’s way. To stop him, simply click on him as he’s chugging along the playing field. 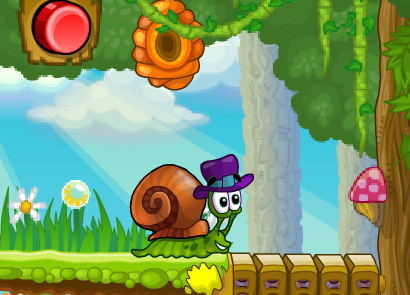 There are 20 different levels in this game, each becomes more difficult than the last. For instance, the first and second level are designed to be tutorial levels to teach players how to manipulate the levers, switches, and sliders that they will find in the rest of the game. However, by about level 6, things become much more difficult! 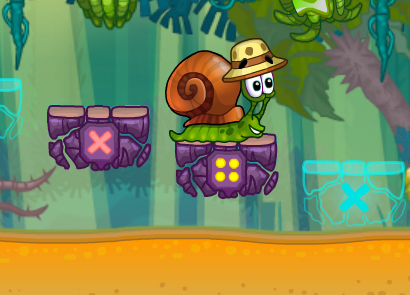 Some switches activate platforms that you may not expect, and some buttons trigger toxic chemicals that will instantly kill Snail Bob! Be careful what you click on – you may be eating snails for dinner!